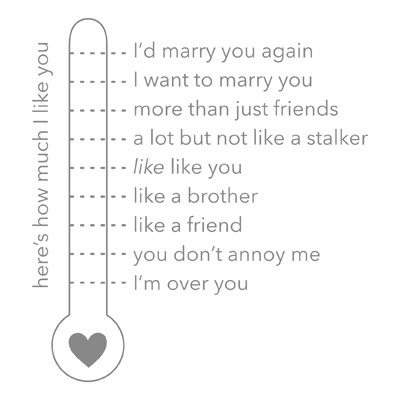 You can use the "Like O Meter" stamp to make the perfect valentine for just about anyone. Make the same card for everyone, just adjust the meter depending on the repicient. Brilliant! I'm using this for DH's Valentine's card - too cute!!! I'm thinkin' that stamp could be used for a more, um.... dirtier Valentine's message too.